The Rebel Sweetheart. : Wordless Wednesday #31 | Moving Up! 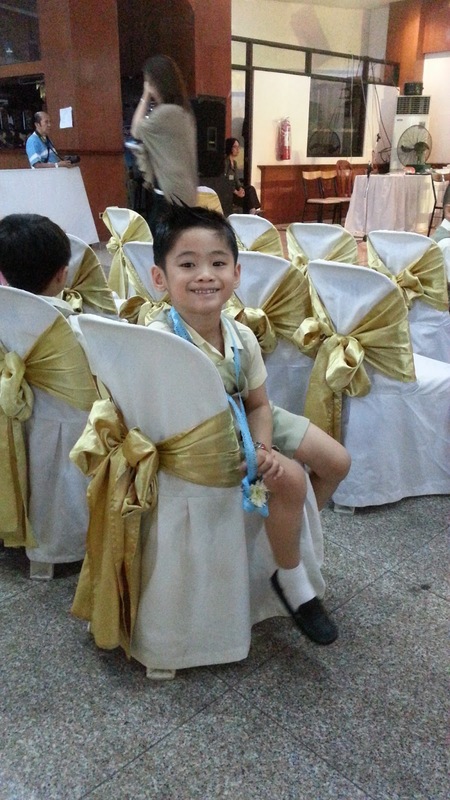 School is officially over as the little man's Moving Up Ceremony was held last Saturday, March 23, at The Coco Palace Hotel. Ten months in Kindergarten sure went by so fast. 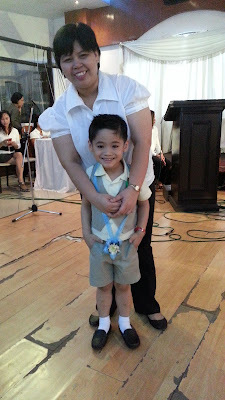 Though we won't be seeing each other again next school year (the little man will be transferring to my Alma Mater, St. Joseph School), Yue will always have fond memories of you. After all, you are his first school teacher. 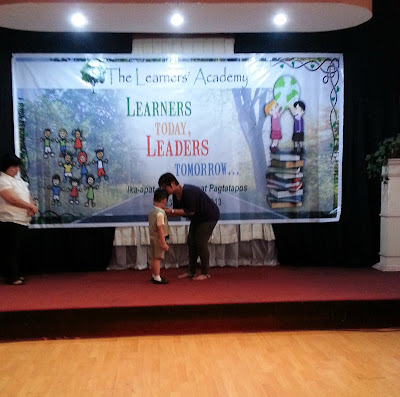 One never forgets his (or her) first teacher. Never ever. We will surely miss you! Congratulations are in order for graduating Kindergarten! Hooray! 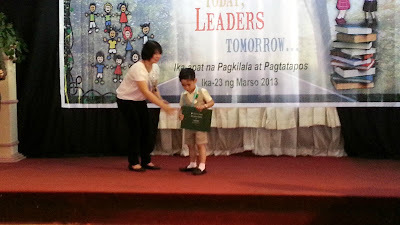 Times fly.. Next thing you know he is already preparing for college :) He is lucky to have a great teacher. 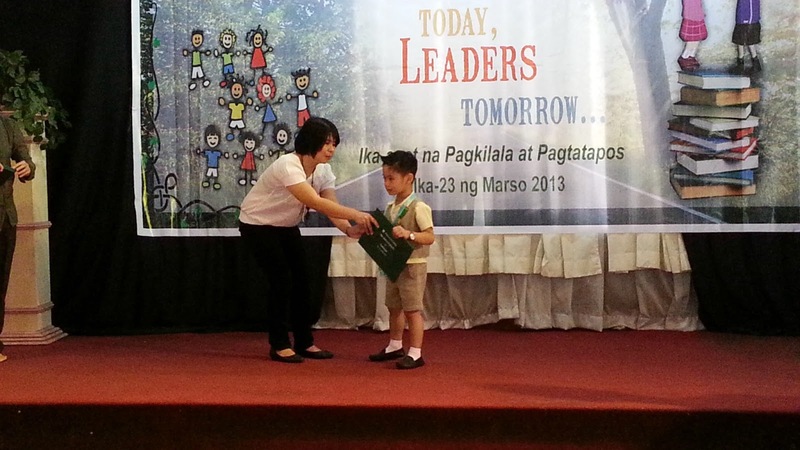 Congratulations to your son on his Moving Up Ceremony. I'm sure it was a proud moment for you. Good luck on his future studies. He looks like you I think. Do you get that a lot? Congratulations! Enjoy your young first grader!!! 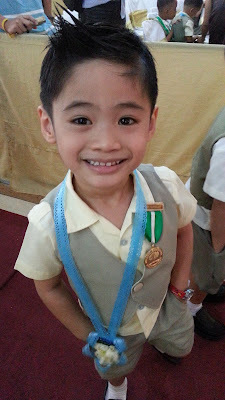 Oh my word, he is so sweet, and done kindergarten already. I remember when you were posting about treats for his lunches as you were getting ready to send him off. Wow time flies. Congrats Yue! You must be really proud...I can already see our future leader. :) I will be sending my little one to pre-K next year too and I don't even know what to expect! Congratulations to Yue! 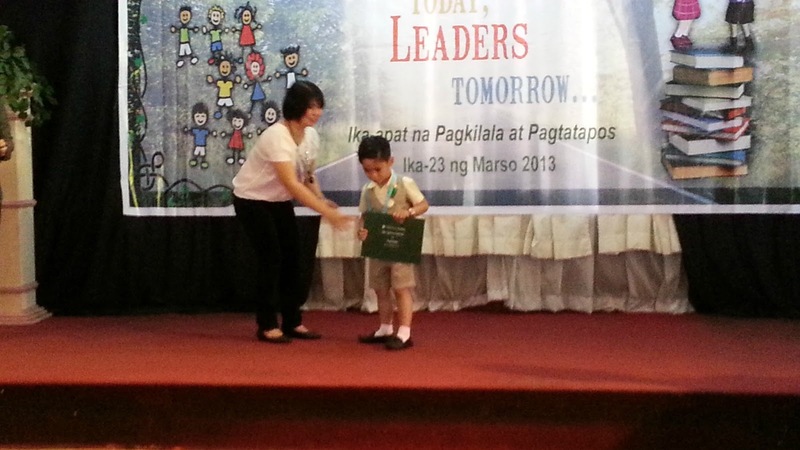 it's a joy for every parents to see their kids achieving on something. congratulations .